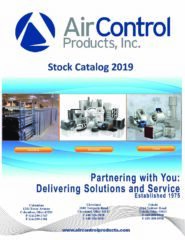 News & Updates | Air Control Products, Inc. Check out this time-lapse video that shows the complete installation of the Price Industries Ultrasuite! They pack over 9 hours of work into 1 minute to show the transformation of the space. Here is a highlight from the SMART 33 Expo. Air Control Products helping to train the future of our industry. A wonderful representation of Powered Aire heated doors used at the Cleveland Clinic Cole Eye Institute in order to maintain temperature inside the office. Latin America Institute of Business visits ACP! ACP Welcomes Tristen Brown to the Team!